Available in packs of 10 data loggers, the ultra low cost EL-CC-1-002 PK10 Frozen Goods data logger comes pre-configured with sample High -16°C, Low -20°C Alarms - simply press the button to start logging. During a logging session, pressing the button will light up the status LEDs to give a quick indication as to whether the temperature has exceeded an alarm condition at any point. Once your session has been completed, tear open the IP67-rated plastic wallet to reveal the USB connector and plug it in to your PC. 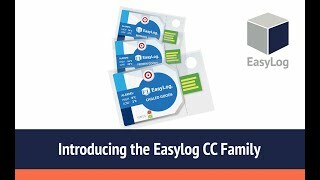 Use the free EasyLog CC software for Windows to download and graph the data, and then prime your logger for its next use.